Icebreaker: A Viking Voyage is a brand new offering from Nitrome, the browser game team who are responsible for such previous casual addictions as Steamlands, Hot Air 2: All Blown Up, Skywire, and of course the rest of the Icebreaker series. This new outing marks Nitrome's first foray into the mobile realm, and judging by the depth and quality of this release, we really, really hope it isn't their last! As a young proto-apprentice you're out to prove you have what it takes to study under the cutting master by acing the Hammerfest Games. Just like previous Icebreaker releases, your goal is to guide trapped vikings back to the boat, collecting as many coins as they can along the way. 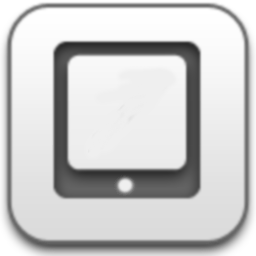 You do this by swiping the screen to cut blocks of ice into small pieces, allowing them to fall, slide, collide and otherwise cause a ruckus on the screen. You can pan around each level by tapping and dragging with two fingers, and if you need to zoom, simply double tap the screen. Icebreaker is well-known for spicing up the slicing formula with loads of physics-based puzzles. Swinging ropes, rotating structures, weighted levers and all sorts of pseudo-mechanical creations can be manipulated with the right cuts here and there. A Viking Voyage goes well beyond the established deviations and adds brand new features every few levels. Crows on ropes? Good idea. The anti-goat viking and the pro-goat herder are hilarious. And are you ready to play with troll snot? Your face says no, but as soon as you start playing, your fingers will say yes. Analysis: Icebreaker: A Viking Voyage is structured a bit differently than previous Icebreaker games. 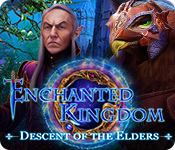 Levels are accessed via a world map, complete with paths to tread, alternate routes to unlock, and a few other surprises such as boss battles and secret areas to unlock. The par system isn't switched on until a dozen or more levels in, and even then it's practically optional. There's as much or as little challenge as you want in Icebreaker, but either way it's a good mix of reflex-based levels and puzzling ice conundrums. There are a few in-app purchases in Icebreaker: A Viking Voyage, but they're completely non-intrusive. The game even points this out in a snarky sort of way. Instead of forcing you to pay to play, Nitrome went the route of awesomeness with a handful of optional power-ups. 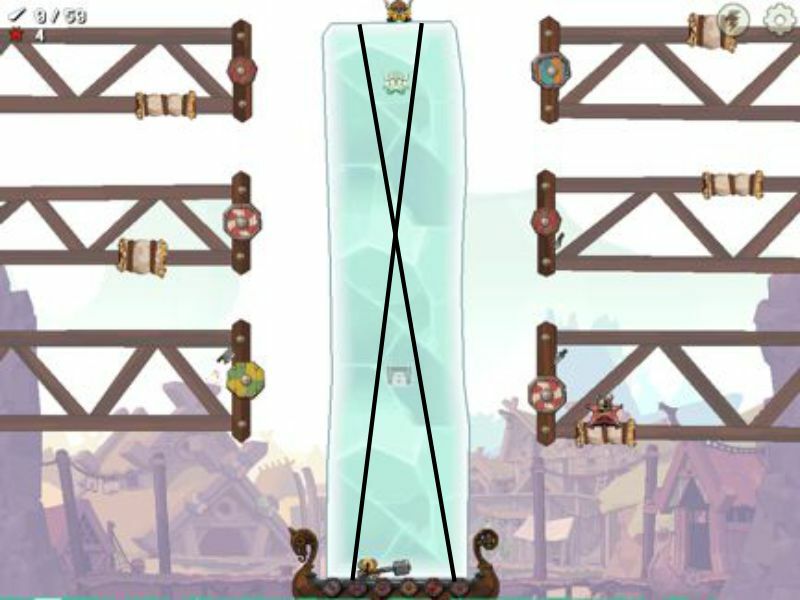 Finger of the Gods lets you drag vikings around the screen, which we don't have to tell you is very useful. The Magnet of the Gods attracts gold and chests so you don't have to run smack into them to collect them. 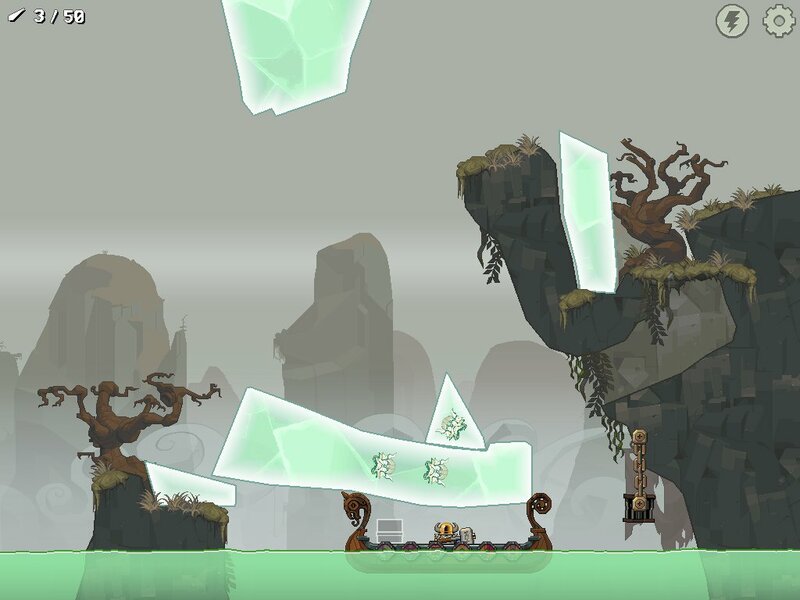 Gravity of the Gods is the most creative and actually lets you tilt your mobile device to change gravity. That one can be a real game changer. All of these power-ups are limited use and can be purchased in three different package sizes depending on how godly you're in the mood to behave. One subtle feature Nitrome added that makes the game all the more enjoyable is its narrative. Characters comment on things in the stages, they talk back and forth, the story progresses as you complete stages, and everyone has a great sense of humor. You wouldn't think a physics game like Icebreaker would work well with text, but the balance of words to action is excellent. Icebreaker: A Viking Voyage is Nitrome's first iOS release, and it's an absolute juggernaut of a game. 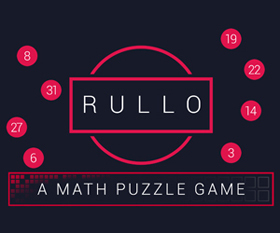 Over 100 levels to play through, including a handful of challenge levels you can go back and attempt to master. Icebreaker is polished and easy to play, and the pixel art looks gorgeous on an iPhone/iPad's screen. Nitrome couldn't have done a better job bringing the series to mobile devices. A Viking Voyage is perfect! Icebreaker: A Viking Voyage Walkthrough now available! A note about coin collecting: If you can't get all the coins in a level in one go, it's okay! You can go back and try to get the remaining coins at any time. A note about par: Par can be hard! Feel free to share your tips below! You only have to save the vikings to achieve this, so don't worry about chests or coins if you are just going for par. To achieve par, cut as close above the vikings head as possible. To achieve par, cut as close above the vikings head as possible, then as close beneath the vikings as possible. To get the chest, simply cut the rope holding it. Cut the rope to the left of the chest to send it down to the boat. 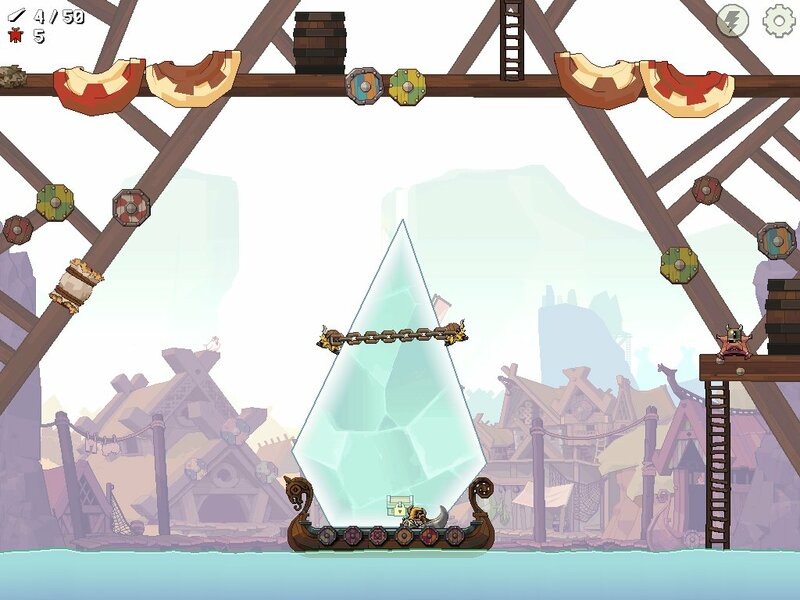 Scroll the screen so you can see both the viking in the ice, and the rope holding the hammer. Cut them both at the same time. Cut free viking swinging on the rope to make him land in the boat. To achieve par, ignore the chest. Cut the icicle to fit into the shape below. Cut down and to the right beneath the viking to send him sledding down. This will get you par. To get the chest, after you cut the icicle to fill the gap, cut on both sides of the chest so it will fall and slide down. Cut down and to the right on the ice sculpture's hat so it hits into the platform. It needs to jam it so it won't fall down so far when released. To get the chest, cut beneath it so it slides to the left. Cut to the left of the frozen viking and everything will fall to the boat. To get par, ignore the chest. Cut a piece of ice first, then a viking, piece of ice, then viking. Don't make the pieces too big, or they'll get stuck. Cut the icicle above the viking's head and both the ropes on the right in one swipe. As the viking swings toward the left, cut the short rope. He will continue to fly past the platform, then hang down by the boat. Cut him down. If you're lucky, he'll bonk into the chest and you can cut that down when it swings out over the boat. Ignore the chest to get par. Cut about a quarter of the middle pillar off so it falls into the sea on the right. It still needs to be long enough to hit the right platform when it gets tipped over. Cut a large enogh chunk of the left pillar so it slides into the middle and knocks it down. Cut down to the left to make the other viking slide down to the boat. Cut right above where the rope is hooked on to the far right icicle. 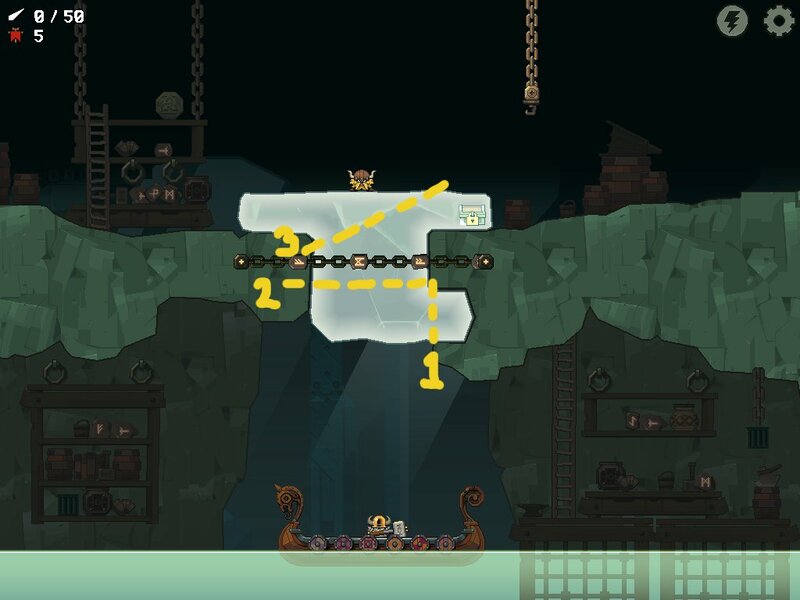 When the piece of ice swings to the left, cut the rope so it goes over the viking's head. It will slide down and push him into the boat. To get the chest, quickly cut off it's icicle so it will fall in the boat. Ignore the chest if you are going for par. Cut a slice out of the right pillar to make room for the viking to slide in. When tht is clear, cut a chunk out of the right pillar to slide into the viking. When he swings over, cut him out of the icicle. If you're lucky, the chest will come too. Cut the rope holding the boat. Cut the rope holding the chest. Skip this if going for par. The troll and the chest will slide into the boat. Time your cut of the viking so he'll slide into the boat when it swings back to the left. Tip: He slides pretty slow. Cut the left viking off down and to the right (Start just under where the chain blocks you). The ice block he's in will fall to the boat. Cut it in half so it will smash and the viking ends up on the boat. Repeat with the viking on the right. Cut the chest down with a straight cut above it. Cut both remaining ropes in quick succession. Cut one side of the ice off so the viking will tip into the boat. Cut the bottom left then quickly the bottom right of the triangle off. Start just inside the boat and go out. With good luck, the tall part won't fall over, and the ice block will be sitting in the boat with the chest on the bottom. Shave both sides of the block so it looks like an upside down diamond. Something like the screenshot below. Slice just above the treasure chest so the viking can break it free. After that, I just kind of cut the rest of the ice off piece by piece until the vikings fell to the boat. Cut the ropes in the following order: cage, chest, viking. Cut the ice below the chest to fill the holes. Cut the rope holding the viking. Cut the top of the ice hammer on the left, releasing it to hit the viking. Cut on the right to releast the giant ice cube. You'll want to cut it so only about 2/3's of it slides down the mountain so it will collect more speed. It will hit the viking, causing him to swing. Time the cut of the viking's rope so the viking will collect the coins on his way down. Release the ice on the right. When it gets stuck, cut along the bottom so the top will continue to slide down. Repeat when it gets stuck again. Use the height of the coins as a guide for where to cut. Once the viking is hanging over the boat, cut the ice to release him. Cut the icicle the viking is in near the top. It needs to be long so it will catch on the sticky part. Cut the snot strings on the right each time the icicle sticks, until it is hanging over the boat. When it is hanging over the boat, cut the snot on the left. When it swings out, cut it so it will bonk the chest down with you into the boat. Cut the icicle on the top left to weigh the platform down. It will stick to the viking. Cut the ice under the chest to cause it to slide into the boat. Then slice it again the other way so the rest of it will sink into the water to the left. Cut the viking loose and the barrel will roll all the way around until the viking sticks to the other side. Release him into the boat. To get par, ignore the chest and just sink the icicle it is in into the ocean to the left. 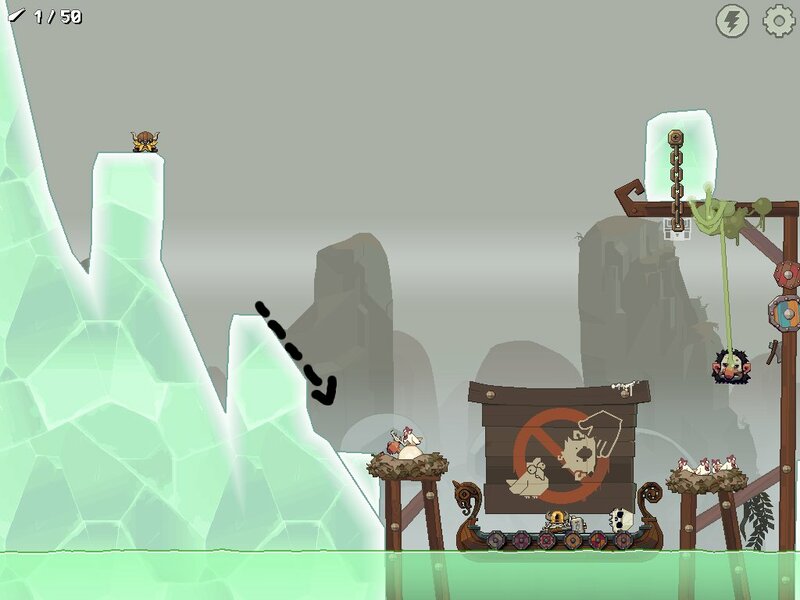 You can still pass the level if goats get to the boat, but it will open some new levels if you get goats to the right and vikings to the left. Follow the next three steps for par, then I'll tell you how to get the goats. Cut down and to the left to slice through both ice spikes at the same time. The goat, viking and two pieces of ice will land in the boat. Make sure the ice pieces aren't too big to get smashed. Cut down and to the right as close to the viking's head as possible. This will send the goat and a chuck of ice to the right. Cut down and to the left as close to the viking as possible. If you've done it right he'll land in the boat with a piece of ice small enough to smash. This will get you par. Get the goats on the right and vikings on the left to open some new levels. Start the level over and follow these steps to achieve this. Cut a sliver under the top goat so it will slide down into the center with the other goat. Cut down and to the left under the viking and across into the other pillar where the goat was. If you're lucky, he'll tumble down to the boat. Cut down and to the right above the frozen viking's head to send the goats over to the shepherd. Cut the ice in small enough pieces to be smashed. Cut the other viking down to slide into the boat. Cut the ice small enough to get smashed. Cut the troll down to fall into the viking side. This will start the ball spinning. Cut down the goats already on the ball when they are over the shepherd side. Cut down and to the right under the upper goat to slide him onto the ball. The icicle that comes with him needs to be long enough to hit the goat on the hill down to the shepherd. Cut the vikings (and chest, if desired) down over the ship. Slide the top right viking onto the ball to get him as well. If the ball stops spinning, cut some more ice to get it going. To get par, cut the right viking down to the ball. When it spins, cut the vikings down. To get par, make a single cut down and to the left on the bottom middle pillar. To get the goats, start with the one at the top. Slice a small chunk of ice down and to the right benath the top goat. He should land to the right of the top viking. Next, very carefully slice benath the top viking so he slides to the left while the goats stay up on the ledge. Next cut the ledge with the two goats down and to the right so they fall to the shepherd, then cut down and to the right so the bottom goat slides in. Cut down and to the left between the top viking and the frozen viking so the top viking will fall to the boat. Cut below the frozen viking to tumble him down to the boat, then do the same to the last viking. To get par, cut the right most rope on the bridge AND to the right of the viking sitting on the ice with one cut. To get the goats, start by cutting the the right of the viking sitting on the ice. Cut it close to the wall. He'll swing over and fall into the boat, hitting the lower viking in on his way. Cut the left piece of ice (the one you haven't cut yet) in half. It will swing over and hit the lower goat. While the above piece of ice is swinging over, cut the bottom piece of ice off to fly over and hit the lower goat into the boat. Cut the right most rope on the bridge. The top goat will fall down to the shepherd, and the top viking down to the boat. Occasionally the top viking will fall to the wrong side. Start over if needed. Cut the very center rope to drop the platform. Cut the left most rope. When the viking swings to the right, cut the other rope. He should land on the ramp the the opening on the left so he'll roll down. Cut the chest if desired. Cut both the rope holding the right viking at the same time. He should fall and roll to the left. Cut down and to the right below the chain to slide the viking down to the next platform. Cut down and to the left below the chain to slide the viking down to the boat. Cut the first two icicles in on swipe. Time your cut of the third icicle so the viking will fly into the boat. To get the viking, cut about 2/3's of the right pillar off. There's a chest at the top of the right hand tower. Keep cutting it loose until it gets to your boat. Cut the chain off the stickies in the following order, letting the viking come to a rest between cuts: right, left, left, right, right, left. Cut under the viking on the left. The crows will carry him up. Cut the ropes when he is above the coin. Cut under the viking on the right. Drop him down on the rightmost coin after the platform lowers. To get par, cut the ice on both vikings with one slice, then to the same for the ropes. Cut the rope beneath the boat the viking is on. The crow will carry it up. After the crow carries the viking higher than the second boat, cut the right rope of the boat the viking is in to tumble the viking into the second boat. Cut the rope beneath the second boat. The crow will carry it up. When the viking has been carried above cliff level, cut the right rope of the boat he is in to tumble him toward the chest. He and the chest should land in the third boat. Cut the rope beneath the third boat. After collecting the coin, cut the left rope. To get the chest, replay the level, but once you get to the third boat, don't cut the rope beneath it. Only cut the left rope. To get par, get the viking into the second boat as outlined above. With one cut, release both remaining boats. When the viking is high enough, cut the right rope and he'll tumble all the way down. Cut the middle rope--the one without the crow. When the crows go low enough, cut the viking loose to slide to the ice. Trim the ice cube to a smaller size so the crows can now carry it up. If you time it right, you can get the coin. As soon as the crows pass the wooden platform, cut the rope holding the platform. Cut the rope the right crow is holding before the crows hit the spikes. To get par, cut the platform rope and the right rope as the crows fly up in one slice. Use the freely given hand of god power to move the viking to all the coins without hitting any spikes, and then to your boat. Disturb the crow on the ground under the chest. He'll fly and bump the chest causing it to swing. Cut it when it is over the boat. Cut the middle rope--the one holding the two windmills together. Cut the bottom left rope and wait for the viking to slide over. Release the left crow, then the right crow. Cut the remaining rope and wait for the viking to slide into the boat. Scroll the screen so the boat is in the middle. Slice both ice cubes (beneath the crows) with one cut. On the left you'll see a piece of ice that resembles a sled. Separate it so it starts to go down the hill. As the sled goes beneath the vikings and chest, cut their ropes so they land in it. It will get them to the boat. 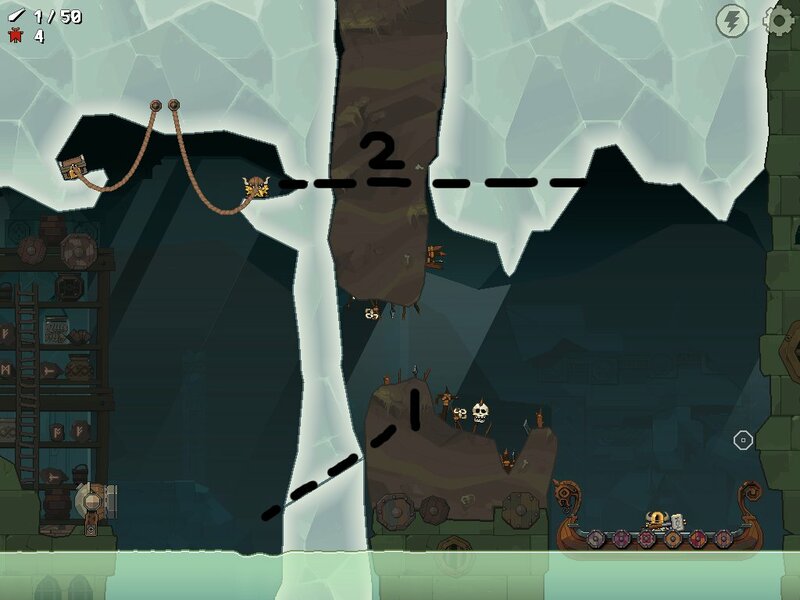 Cut the ice platform from just to the right of the circle up to the rope holding the troll. The viking will go to the boat, and the troll in the mouth of the idol. This level is all about timing. Cut the short rope holding the viking on the right. A little after he starts swinging to the left, cut him down to fall into the rightmost hole. Repeat with the viking on the left, making him fall down the leftmost hole. To get par, quickly cut both of the short ropes, then time it to cut both the vikings down with one stroke. I believe the idea is to impale the trolls with the stakes on the sides of the gorge. I beat this several times with luck, but couldn't find anything repeatable. This level takes good timing and a little luck. Cut the second hanging troll into the spikes. When the spikes are rotated out of the way, cut the first hanging troll down. He will land on the meat and eat it, causing the next spike platform to rotate. When the second platform rotates out of the way, cut the fourth troll down to eat the meat on that side. Now all the platforms are rotating. With good timing, you can drop the viking down between them all and to the boat. There are two pieces of wood suspened from ropes. These need to drop into the water below pointy side down. So for the piece on the left, cut the left rope first, then the right and it will flip upside down. With the right piece, simply cut both ropes at the same time. Cut the rope holding the viking in the ice ball on the right. He'll roll all the way to the left and stop when he hits the other viking frozen in ice. 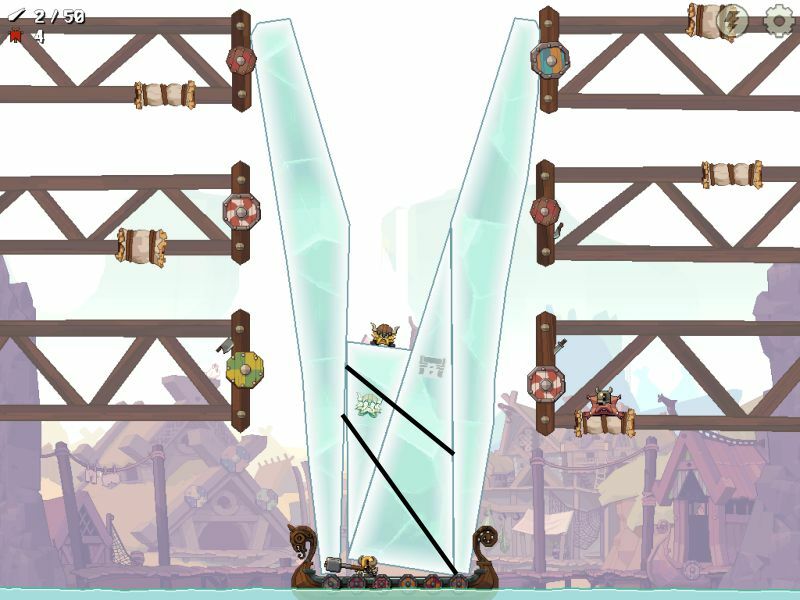 Once the ball stops, cut the two ropes attatched to the viking in the ice block. You will float up and slide into the boat. To get par, cut the second rope to flip the wood upside down and both the pieces of rope holding the other wood all at once. Then release the vikings and ignore the chest. Starting near the bottom of the ice pillar, slice down and to the right to make it start sliding. When it stops sliding, cut it again a little higher. Repeat until it bumps into the cliff. Once you run into the cliff, cut down and to the right beneath the viking. He'll sled down to the boat. Cut the chest down when you slide under it. Slice down and to the right to start the viking sliding down to the boat. Cut the short rope on top. When the viking swings to the right, cut the first rope on the cliff. When the viking swings to the left, cut the middle rope on the cliff. Cut the rope connected to the ice, the cut the rope to drop the viking to the boat. Cut the rope holding on the wood that is holding the boulder back. The wood will push the viking down to a platform. Cut the rope every time the viking lands on one of these platforms before the boulder reaches him. Cut the chest right before the boulder comes and it will get pushed to the boat. To get par, ignore the chest. Cut the ropes in the right order to get the skyride down to the bottom. Cut each rope after the ride has come to a stop. See screenshot. Once the boat has reached the bottom, cut the one of the ropes of the skyride to dump him into the boat. Slice down to the left right below the chain holding the chest to make the chest slide down. Cut down and right from right behind troll at about a 45 degree angle to make him go to the chicken. Cut another slice off from where the troll was standing to pave the way for the viking. Cut beneath the viking to send him down to the boat. He may get stuck, just keep cutting. Drop down any 7 trolls or rocks before dropping down the viking. Haven't figured out the chests yet. Slice down and to the right beneath the chest to get it to the boat. Cut slightly down and to the right near the bottom of the monolith to topple the pillar over onto the boat. Cut the top viking down to land on top of the pillar. Then slice up into smaller pieces so all the vikings land in the boat. The idea is to get all the troll bones down to the scale. Sometimes skulls get stuck and don't fall. If this happens, you'll have to start over. Starting at the top, cut the troll down. He'll roll over the gap and stop at the edge. Cut the chicken nest next and egg down in one swipe. The egg should destroy the troll and knock his bones over the edge. On the next level down, the troll has to swing over the egg and chicken in the nest. Cut the right rope, then the left when he swings over. When he hits the chicken at the end, the bones will fall down. To get the chest, cut left rope, then the right to swing it in the gap and down to the boat. Cut the rope by the remaining troll. He'll roll to the chickens. When his bones fall down, it will disrupt the scale causing the vikings to fall into the boat. Cut down and to the right to the left of the chest. This will cause it to hit into the gear below. When the viking in the icicle rotates all the way over to the right, cut him loose. If you're fast enough, you can also cut the chest down to fall through the path on the right to the boat. To the far right, cut the leaning domino at its base down and to the left. Cut the domino with the viking into a smaller piece so he falls into the boat. On the far right cut the two pillars with the notches at the same time at the narrowist point. This will get you par. To get the coin, add an extra cut down and to the right on the pillar with the chest so the viking will fall onto the coin. Do this before cutting the notched pillars to get the coin. You must continuously feed the troll chicken eggs while avoiding his bodily fluids. The chickens at the top produce eggs that will fall when you swipe them. Start by swiping the left chicken. After the egg gets in the troll's mouth, swipe the right chicken to move the viking out of the way. Repeat. The troll will then burp out a bubble. 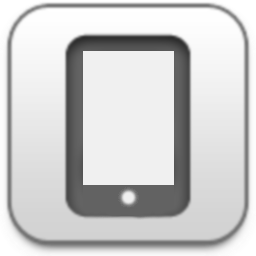 Swipe to pop it till it is gone. Roll another egg into the troll's mouth. He's faster now so you have to swipe the bird early than you think. If you miss the pattern will repeat, so try again. When the troll is gone, cut the ropes to release the viking. Swipe the cannon to shoot the viking out. Cut his rope at the right time to fly into the ship and pick up the coins. If you look closely at the background, make the cut when he's on the bellows. In this level, you can aim the cannon. Cut a hole through the ice so you can shoot toward the boat. Do the bottome cut first. Then if trying for par, make the second cut so it also makes the viking swing on his rope and cuts down the icicle on the right to cover the spikes. To get the chest, cut the ice shelf it is on and the rope so it falls to the cannon. Shoot it over before you shoot the viking. Ignore the chest if going for par. You can touch the wood walls, but if you touch dirt or spikes, you die. Cut the ropes of the trolls below you and tilt them into the spikes. Carefully float up to get the coins, if desired. If you want the other coin, tilt the troll on the chain out, and you in. Manuever the troll back into the box where the coin was. Trap him there as you float by. Continue down, floating carefully by the other chained troll. See screen shot for order and placement of first three cuts. After making the third cut, quickly cut the piece the viking is on before he slides too far. Break up the piece of ice the chest is in for your final cut. Cut the top of the large icicle off to drop the chest down. Ignore the chest if going for par. Cut above the third chain to drop the whole icicle into the gap below. Release the ice ball by cutting the rope. Cut the icicle between the top and the middle chains to drop into the hole below. Watch the angle of your cut. It needs to be slightly down and to the left. 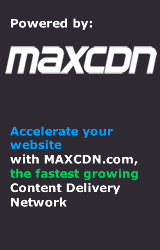 Repeat, cutting between the remaining chains, but down and to the right. The ball will knock the viking down. Cut his rope so he'll swing into the boat. Note that there is the big thruster engine in the middle, a small one on the wood on the right, which lowers the wood, and one above the cannon, which raises it up. To get the chest, swipe the left side of the engine to make it go right. It will hit the barrels, which in turn will hit the chest. Lower the wood and raise the cannon so the chest will fall into the cannon, then shoot it to the boat. Swipe the engine on the right to make it go left and fall down a level. Swipe on the left side to make it go right to hit the viking. Make sure the cannon is raised so he'll go in there. To get the coin, raise the cannon and lower the wood and shoot the viking at the coin. When the viking returns to the cannon, shoot him to the boat. To get par, ignore all treasures. When the engine falls to the lower level with the viking, swipe the big engine and the cannon engine at the same time. Cut the jutting piece of ice off the end of the ice ramp. Swipe the boat to send it up the ramp. The boat will hit a rock and stop. Drop the viking down into it. Swipe the boat again. It will move forward a big more then hit another rock and throw the viking onto the platform. Swipe the engine on the hammer to knock the viking to the finish line. To get the chest, there is a secret engine. Swipe the barrel above and to the right of the motor boat. To get the coin by the ticket booth, thrust the right engine. Cut the first icicle down, the thrust the left engine. The viking should pick up the coin as you cross over the ice. Cut the ice pillar so you can get through. Continue to the right. Cut the ceiling down so you can go over the troll. Cut the pillar to go through to the boat. Cut the rope of the basket to dump the viking in. You have to cut the ship down so it lands right side up in the water. Cut like the screenshot and it should land right. 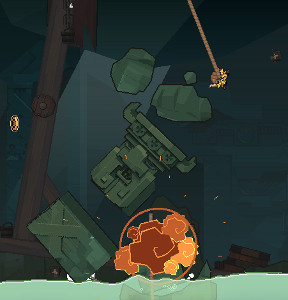 To get the coin on the left, shoot the free viking over from the tallest cannon. He'll fall back down into the left cannon. Shoot him to the tall cannon, then to the boat. Cut down the frozen viking in the smallest piece of ice possible. You can't shoot the viking, but the heavy stone he's hooked to. Shoot him from the left cannon, to the tall cannon, then the rightmost cannon, then the boat. You can't aim the barrels in this level. When you get to the cannon just to the right of where you started, cut the long icicle down. When you shoot into the ice, you'll fall to the middle cannon. Cut the ropes holding the hanging cannon. It will fall lower, hanging on the chains. Shoot from the middle cannon to the hanging cannon, then down to the boat. You can't aim the barrels in this level. Use the cannons to get the chains out of your way. Before shooting anything, to get the chest, cut it down. Shoot the cannon, then slice bellow the chain beneath the viking. Cut the piece of ice that falls in half diagonally so it will fall to the boat. Shoot the cannon twice. Slice out a chunk to the left of the viking.Then slice along his left. He should then fall into the boat. If he gets stuck, cut the bottom off his ice cube. Cut down one of the rocks above the left cannon. Shoot it over to the right cannon. The coins are a good guide as to where to aim. Shoot the rock to the right to hit the viking. While he's swinging, cut him down so he'll fall into the cannon. Shoot the viking over to the left cannon. The coins are a good guide. Shoot him up and back down into the cannon if you want to collect all the coins. Shoot him over to the boat. Ignore coins for par. The goal is to spin the shell around counter-clockwise enough times so the viking falls out. Cut the left ball of ice in a little less than half (down and to the right). This will get the shell moving and hit the chest into the boat. When the shell starts swinging back counter clockwise, cut a bit more than half off the other iceball when it starts on the upswing. If you've done it right, the shell will swing all the way around. When the bigger chunk is on the upswing, cut it down in size, and the shell will go all the way around, dumping the viking out. It make take a little experimentation to figure out how much to cut off. At the far right, cut between the last two chains, leaving the ledge so the vikings can't roll off. The stone viking should roll down, the live viking should stay. Next cut between the first and second chains. The stone viking will roll down and knock the viking into the cannon. This cannon can't be aimed. Shoot to get the viking to the high cannon. For par, shoot the viking straight to the boat. To get coins and start the generator, shoot him to the next lower cannon, then into the higher one. Shoot him into the stone viking. The stone viking will swing into the upper cannon, and the live viking will fall back into the lower cannon. Cut the stone viking's rope,then shoot him to the stone boat. Go back to the first cannon and shoot the other stone viking into the stone boat. This will start the generator and lift the lower cannon into a higher position. Shoot to get the coins. He'll stick to the wall. The other cannon is now rotating. Cut the treasure when it's over the boat. Releast the viking either into the rotating cannon, then shoot him into the boat. This will open once you've completed the level Power Up. Once it has landing, cut the rope holding the middle platform. The gear should now be hanging over the left rotating gear. Cut the rope holding the bottom platform. This will set all the gears in motion and open the way to the boat. If you want the chest that is rotating on the top gear, cut it so it falls into the boat. If you are going for par, just cut the viking down. When the moving platform is almost halfway up, release the rock hanging on the left. It needs to land on the platform on the right. When the moving starts rising out of the ocean,cut the rop holding the platform the rock is on. It needs to roll over the moving platform and knock the viking in. To get the chest, cut it down onto the moving platform. The stone will push it along to the boat. Sadly, you don't actually get a doll if you drop the swords onto the trolls. Cut the viking into the cannon. Shoot him up if you want the coin. Shoot him into the other coin if you want. He should bounce back to the cannon if you aim a little high. Cut the swords to kill the trolls. Then aim the cannon at the bullseye to fly over to the boat and collect the last coin. To get par, you've got to cut the swords to kill the trolls and release the viking in one cut. Cut the viking's ice cube so he'll slide down and get picked up by the sticky crane. There's a sticky platform at the top held by a rope. Cut it loose to swing over and grab the viking. Release the viking from the stickies when you are over the boat. If you're lucky, you'll pick up all the coins on your way down. Cut the stone on the right to fall into the cannon. Shoot it at the bottom of the rotating platform to change it's direction. Cut the viking down. He should now safely roll down to the cannon on the bottom right. There should be a rock in the bottom left cannon. Shoot it and it will fall down the hole trapping a cave troll beneath it. If you want the treasure chest, cut it down and shoot it from the left cannon. Ignore this if going for par. Wait for the near by cave troll to fly up as far as it goes, then shoot the viking from the right cannon and to the boat. You start with a viking in the left cannon. Shoot him into the upper cannon. If you want the coin, shoot the viking down into it. If you want the upper coin, time your shot up when the upper cannon is on the far left. The viking should ride across to the coin. Ignore all this for par. 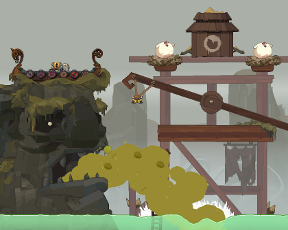 Once your viking is back in the upper cannon, shoot him into the nest and he'll ride over into the right cannon. Shoot him down into the lower cannon when the path is clear, then to the boat. Cut the vikings free. They'll fall and land in the bottom cannons. Watch for troll caves before every shot. If you want the coin, shoot the left viking only, then shoot them both to the next level. If you want the coin on this level, shoot the right viking only. If you want the coin on the top level, shoot him back so the vikings are on the right side. Then shoot them up. Situate the vikings in the left and middle barrels. Shoot them both up, then shot the right viking so the are both facing upwards. To get the coins, shoot the right viking alone. Shoot both vikings at the same time. They should eventually get to the top two cannons on the right. Leapfrog down. It's a matter of timing and waiting. If you wait long enough, the trolls eventually fly closer together. Keep leapfrogging and you'll end up in the boat. Shoot the spike balls on the bottom left out to get the trolls. Don't hit the viking! You have to hurry a bit to keep ahead of the viking. If you get all the trols away, he'll move himself to the boat. Cut the chest down to rest on the top of the chain to carry it over to the boat. Cut the circle down so it falls down the curve and rolls over the flames, extinguishing them. It will then continue to the boat. Cut the right rope holding the chest. It will fall and extinguish the remaining flame. Enter ghost. Cut the last two shapes with vikings down when they are swinging to the right. Second Haunting (opens when you extinguish all the flames on Turn Off the Light. You must extinguish all the flames to open another ghost level. Cut right beneath the viking's feet to drop a chunc of ice down. It will extinguish the flame. Cut a triangle off the right side to slide down to the right extinguishing the flame down there. Boost the lower engine only on the right so you are hanging on the left side of the screen. This should also flip you chest side down. Cut the chest down. It will extinguish the flame beneath it and slide to the boat. Boost both the engines on the right and then the left to fling the viking up to extinguish the lights on both sides. Enter Ghost. Boost one engine so the viking is hanging down again. If you want the coins, drop him from the right side to slide down to the boat. To get par, simply cut down the viking. Boost the two engines next to the light brown arrows on the top gear to push out the platform. Release the viking to roll and extinguish the first flame. Boost the two engines next to the dark triangles on the middle gear to close the next platform. Boost the two engines next to the dark triangles on the top gear to open it back up. The viking will roll down to extinguish the next flame. There are two flames on the bottom platform. Boost two engines four times on the bottom right gear (letting it stop in between bursts)to get the platform so it barely covers the gap. The first flame will be off center to the left, and you'll se the second flame in the archway on the right. Boost the two engines on next to the light triangls on the middle gear to open the platform and drop the viking down to extinguish the flame. Boost the bottom right gear to move the platform as far as it will go. Using the engines on the bottom left gear, boost to your heart's content to move the platform all the way to the left, causing the viking to roll over the other flame and into the boat. Cut the ice to the left of the bomb to set it swinging. Swipe to explode when it gets stuck in the pillar. Cut to the right of the viking to set him swinging. Time your cut when he's swinging left to get the coins on his way. You'll need to cut the rope when he's about straight down to accomplish this. Boost the left engine. When the boat starts swinging back left, boost the right engine. Repeat until the boat flips upside down. It will stick to the top of the cave. Swipe the bomb when it's in the tip of the triangle while the boat is upside down. Then shoot the viking through the hole and to the boat. Shoot the first three rocks into the cup of the platform. When you get to the bomb, shoot it over so it will roll down the platform and onto the elevator. The bomb will roll out of the elevator and down the top shaft. Explode it when it is under the stuck dwarf before it falls. Shoot the dwarf into the boat. Shoot two more rocks into the cup of the platform. This will swing the iced viking out far enough to cut him into the boat. Shoot the last viking into the boat, followed quickly by the chest if possible. The viking is hanging right above the boat. You need to clear the way with the bombs. Cut a bomb down. Explode it on the ledge right above the boat. Cut another bomb, and explode the wooden platform under the viking. If you are going for the chest, bomb the the platform above the chest, then the one below the viking. Release another bomb and explode the ledge below the viking. Then release the viking. Explode the right bomb, then the one that falls down to the right shortly after that. The third bomb should rolld own the hill. Time your next explosion so the viking will roll into the wooden Y instead of falling into the death pit. He'll land in the cannon. Shoot the viking up on to the moving platform. Cut the platform down when it's over the boat. Drop a bomb into the first moving cannon, the shoot it up to the next cannon. Shoot the bomb again and it will land on the platform. Explode it to kill the troll and clear the platform. Drop the next bomb into the moving cannon. Shoot it til it lands in the next moving cannon. Shoot the bomb at the chained platform and explode it when it is near enough to blast a hole. If you want the chest, cut it down and shoot it over. Cut the viking down. If you want the coins, shoot him into each one. He should bounce back into the cannon before it moves away. Shoot him to the boat. Cut the left rope of the viking when the first block starts to rise. Cut the left rope of the barrel when the second block starts to rise. Cut the left rope of the platform holding the rocks when the third block starts to rise. A chest drops up and down above the boat. Cut it when it is swinging to the left (before you get the viking past the third block) if you want it. If you want the chest, scroll up and cut it down. It will fall in the cannon, then shoot it to the boat. Cut first stone down. It will roll to the cannon. Shoot it so it lands on the very left of the lower platform, sending him flying. He'll tumble into the boat. Cut the second stone to fall to the cannon. Shoot it so it lands to the left of the other viking to send him flying. Shoot the viking over to the coins, then he'll roll into the boat. 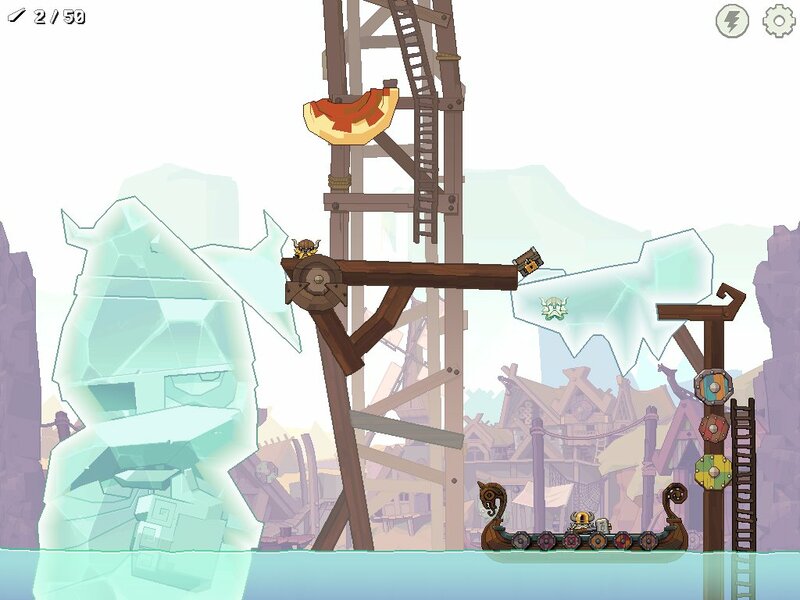 Cut the ice cube right above the viking's head when a platform is below it. It has to fit under the jutting bit of ceiling you see to the right. Slightly before the ice will hit into the ramp, cut the ice cube down to the right about half way up (not too steep of a cut or it will slide too fast). Then when it hits the ramp it will slide across and back onto the platform. Repeat with the second ramp. To get the chest, cut it down on top of the viking. There are engines attached to the cage the vikings are in. 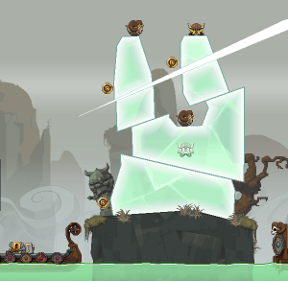 Use them to move to each side and collect a rock in each cannon. You might want to practice manuevering in the cage. It gets tricky later. Shoot the serpent 2 times. He'll change course after that. Watch for the track to light up to know where he'll be. Hit him 2 more times. Then he becomes tough to avoid. Watch the lights and hit the engines accordingly. If any part of the snake touches a viking, you have to start over. It's often possible to get two hits on him each time he's on the screen. Try it! Hit him two more times and he turns into a speed demon, but stays on the top and bottom tracks. He'll explode and then you win! The pictures on the wall tell you what to do. The first picture refers to the level in the Underdwell called Shipwreck. After you cut the boat down (see how under the Shipwreck level above), cut the top wave of the frozen wave down and to the right so it sildes into the boat. Solve as outlined above. The second picture refers to the level in the Underdwell called Hot Air Joyride. 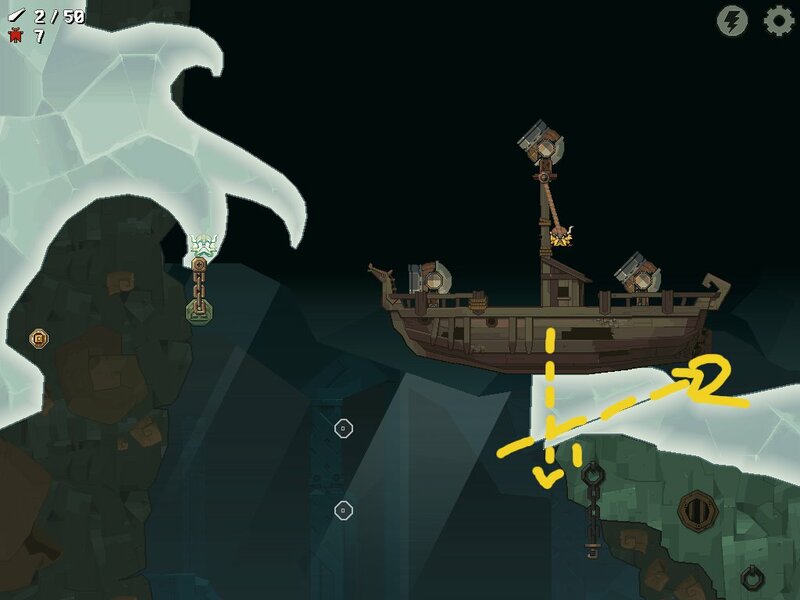 Cut down the ice arrow at the end of the level into the boat, then solve the level as outlined above. The third picture refers to the level in the Underdwell called Sounds of the Sea. The hidden item is in the left ball of ice. Solve as outlined above, making sure the first big chunk of ice lands in the boat. When you find all three, return to the treasure hunt square to open aditional levels. Cut each basket down to its respective gear to pen the way to the boat. Cut each viking down when they are above the coins. To get par, don't worry about the coins and cut both vikings at once when they are centered over the hole. This is a Par 4, and you also want the chest so let's break up the huge block. First off, you need to make the whole block visible, so move down with 2 fingers until you see the boat with the Icebreaker. Make the initial two cuts as shown in the screenshot in order to drop down the Vikings and Chest. Since the chunks are still too big to break up, make two more cuts as shown in the next screenshot and you should be home free. If it fails, try your cuts again because it will work. I LOVE Nitrome games, and this looks amazing....but no Android, no purchase. Sorry guys. Thanks for the awesome review guys! I've completed all the game (all treasure chests, coins and pars) except for level Under Dwell - Dig It where I'm stuck on getting the par!! How it's possible to complete in just 4 slices? I've tried all possible strategy but can't manage to finish under 5 slices... Any suggestion is highly welcome ???? ???? I also finished everything except Dig It. Gave up and did a Google search, and didnt find an answer--then I figured it out. . .
Cut one: far right bomb. Cut four: wait about half a second after the third bomb drops out of sight, and cut the Viking loose--need to time it so the Viking lands on the bomb, and then tips into the boat. Cut 1: Far Right bomb and the lower of the 2 bombs. Cut 2: Explode 2nd rolling bomb and release the first hanging bomb. Cut 3: explode the bomb on the wood and the one on the lower ledge at the same time. Cut 4: Release the Viking! The art style is fantastic,the music is fantastic,this game is FANTASTIC!!!! By far THE BEST GAME EVER launched on mobile! I don't think there will be in the near future such a great game like Icebreaker:A Viking Voyage! Only Nitrome can make a greater game than Icebreaker! GREAT WORK!! How do I par the ship in the bottle level?